Dying for pasta but feel guilty about the carbs? Our low-carb lasagna recipe made with cabbage lets you stick to your diet while enjoying a family favorite. We’ve replaced the noodles with cabbage, and we promise you’ll barely notice they’re missing! After all, noodles just serve as a vessel to deliver that scrumptious filling to your lips. If you like our low-carb approach to Italian favorites, try our low-carb spaghetti squash lasagna. It’s a home run! Cut cabbage heads in half and boil for 15–20 minutes until soft. Drain water and chop into 1" squares. Then sauté cabbage for 2–3 minutes to remove excess water. Let cool and wrap cabbage leaves in dishtowel, squeezing out remaining water. Brown beef in skillet. When most of the pink is gone, add pepper and onion. Sauté 3 more minutes until thoroughly cooked and onion has softened. Add garlic, oregano and basil and cook 1 more minute. Remove from heat. In a medium bowl, whisk egg white into crushed tomatoes. Add to meat mixture and season with salt and pepper. In a separate bowl, mix cheeses together. To assemble, double layer cabbage, meat sauce and cheese in greased 9" x 13" pan. Sprinkle with red pepper flakes if desired. Bake 20 minutes or until golden brown. 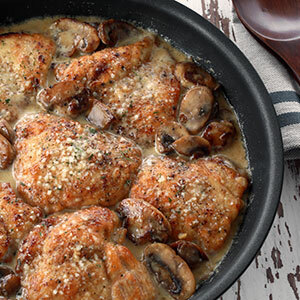 Slip a cookie sheet underneath your casserole dish when making recipes that call for sauces. It will catch any spills and save you from messy cleanups. Beef, Gluten-Free, Healthy, Italian, Low Carb, Lunch, Protein, Recipe Video, What's for Dinner?